"We selected Armstrong's to build our house after a very detailed 'beauty parade' exercise ahead of the project. They were an outstanding choice. Their attention to the needs of the client, standard of workmanship, and focus on detail were first class. They also managed the relationships with the other parties with patience and skill. In particular, their site management was excellent. I would unhesitatingly recommend them to others." "I would like to say how impressed we were with Armstrong's, from the top of the hierarchy to the bottom. All employees working on the site were always most helpful, cheerful, and skilled in their respective areas. We have no hesitation in recommending R W Armstrong to anyone for their fairness and standard of work." 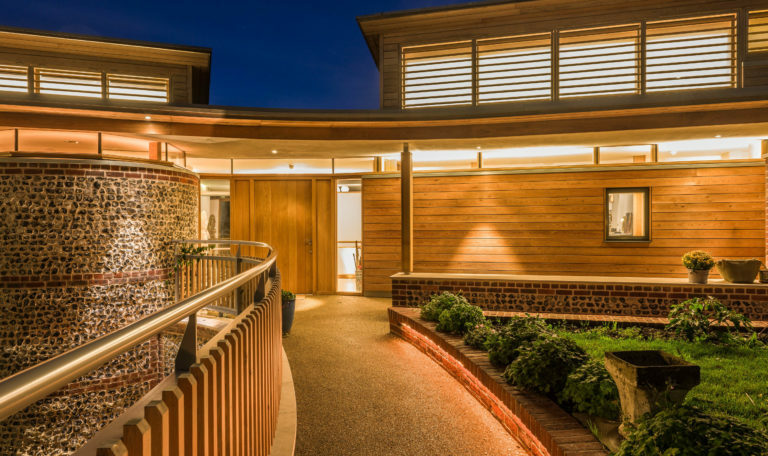 "Everyone at Armstrong's has the qualities necessary for the completion of totally successful projects .. expertise in their various trades, knowledge of architectural and interior detailing, trustworthiness and good humour. And above all, the essential ingredient, enthusiasm."